Adwin Brown (Heathers) will be joining Victoria Pedretti (The Haunting of Hill House) in Season 2 of Netflix’s psychological thriller You, Deadline has confirmed. 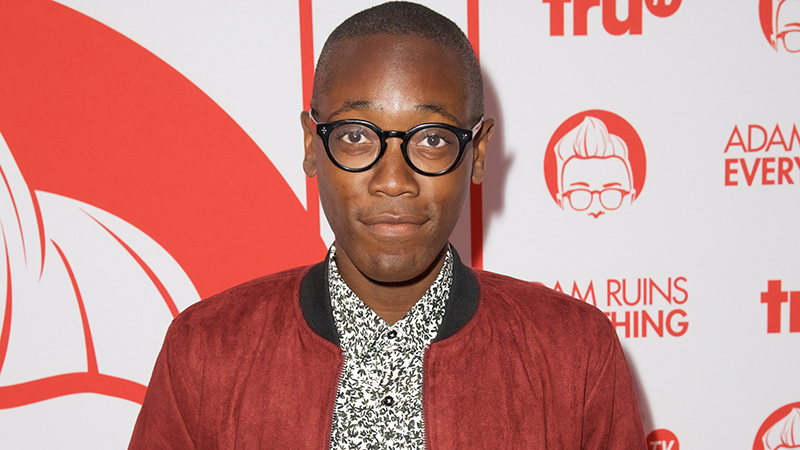 Brown, whose credits include Heathers, The Fosters, and Jane the Virgin, will play Calvin, a true west coaster who’s a mix of both meditation and stress. Calvin manages a high-end grocery store and although he feels his life is more together than most, working at an unconventional store for some unconventional bosses tests him. Pedretti, known for playing Nell Crain on Netflix’s The Haunting of Hill House and currently filming Quentin Tarantino’s Once Upon a Time in Hollywood, will play the female lead opposite Penn Badgley in Season 2. Her character, Love Quinn, is an aspiring chef working as a produce manager in a high-end grocery store (alongside Calvin). Love is uninterested in the world of social media, branding, and self-promotion focused instead on leading an interesting life. She is also tending to a deep grief, and when she meets Joe Goldberg (Badgley), she senses a shared knowledge of profound, life-changing loss. The post You Season 2: Adwin Brown Joins Victoria Pedretti in Recurring Role appeared first on ComingSoon.net.